Jesus extends an invitation to every person…an invitation to a life-changing relationship. He wants to make our lives better and make us better at life. He wants to give hope and a future. He longs for every single person to find their way back to him. We want to be a community of people who are on mission together so that more and more people accept Jesus’ invitation and find their way back to God. We don’t invite people to fill up auditoriums. 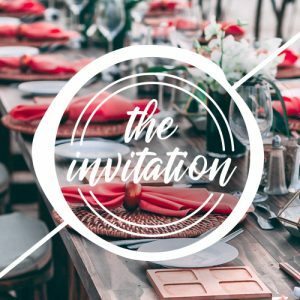 We invite people because Jesus has extended an invitation. We invite people because Jesus makes our lives better and makes us better at life. We invite people to help them find their way back to God. This series is intended to motivate and equip people to invite their friends, family members, neighbors, and co-workers to church. Message Big Idea: Inviting starts with identifying people we know who might be ready to receive Jesus’ invitation. Message Big Idea: Jesus continually invested in relationships to help people find their way back to God. Message Big Idea: Everyone is included in Jesus’ invitation to find your way back to God. Be the first to review “The Invitation – Messages in a Bundle” Click here to cancel reply.